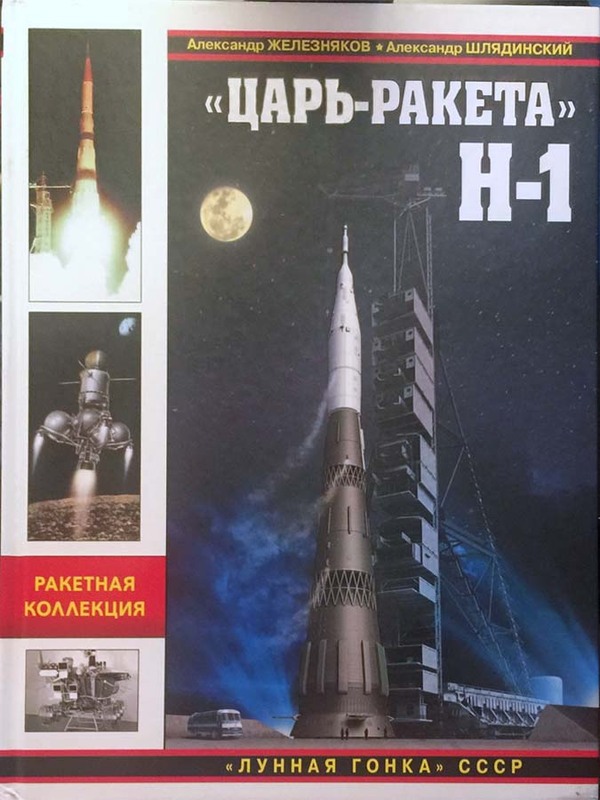 The draft design of the rockets started on the basis of the Decree of June 30, 1958. Two bureaus, OKB-456, and OKB-670 were involved. The design chosen was based on direct heating of the working fluid, and it’s ejection through the nozzle. 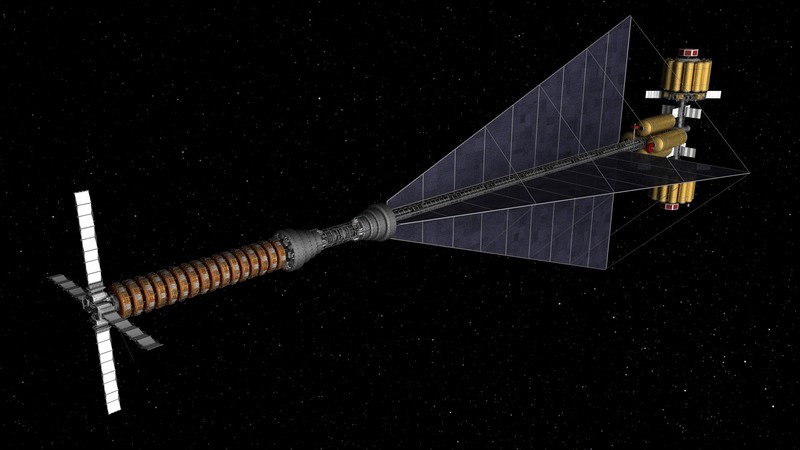 An open core reactor, in other words. Not that long ago I got an excellent book by Alexander Schliadinski, who provided the core information for “N-1 for the Moon and Mars“. 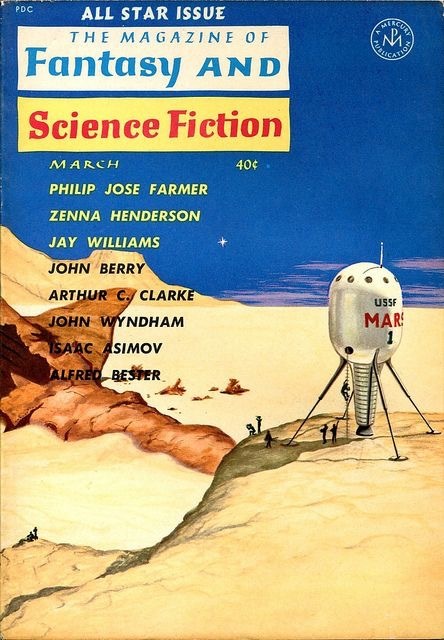 This was based on an image I found, taken from the cover of the March 1961 episode of the Magazine of Fantasy and Science Fiction. A really unusual shape, making the whole thing look like a cross between a lightbulb and a thermos flask. I suspect it’s meant to be nuclear , which makes standing around the engine area somewhat adventurous. I recently realised that I hadn’t blogged this design, which I did a few years ago. I realised this after seeing an image I had provided of it for a board game had been bodged onto a new background, and looked awful. So I figured I should get my version online ASAP! 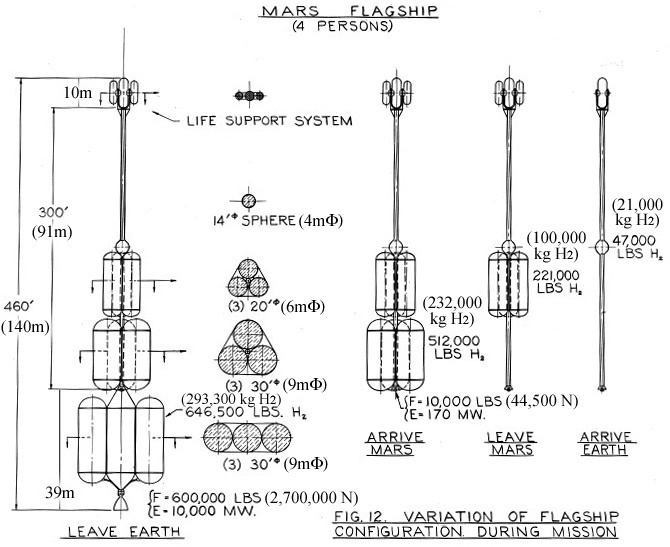 This is a serious NASA design for a nuclear craft capable of reaching Mars. 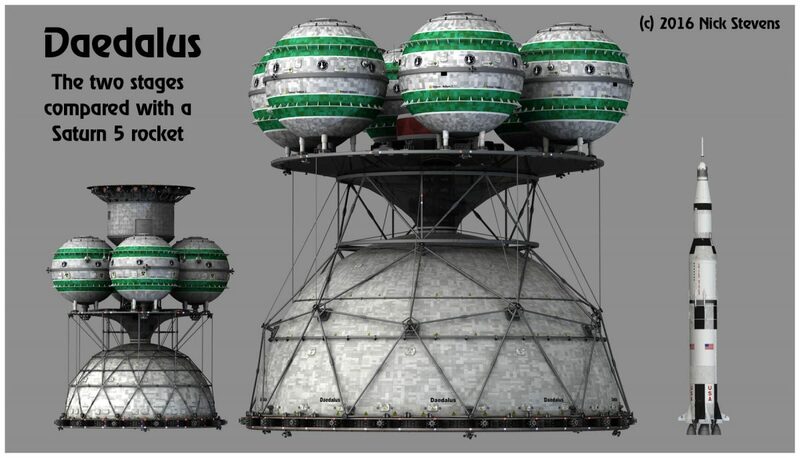 A couple of new items using the Human Outer planet Exploration vehicle, with VASIMR engines. Graham Gazzard has done some wonderful renders of the mesh! OK! The modelling is done of HOPE-VASIMR, (at least unless I spot anything that neeeds fixing), so it’s time for some shots of the final version. The above image is a distant view of the whole thing. To give you an idea of the scale, it’s very nearly 200 metres from one end to the other. 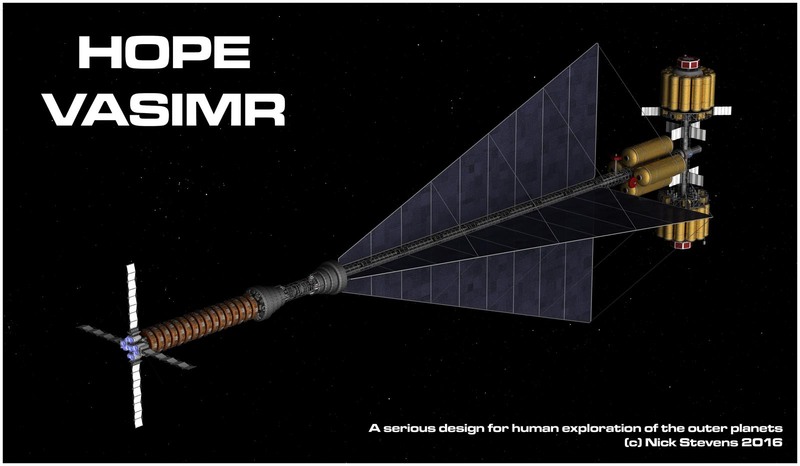 Right, I think the modelling part is pretty much done here on the HOPE VASIMR. I’ve been busy adding nurnies and greebles, and tweaking surfaces, and it’s looking good to me. As usual, click on the images for a larger version. 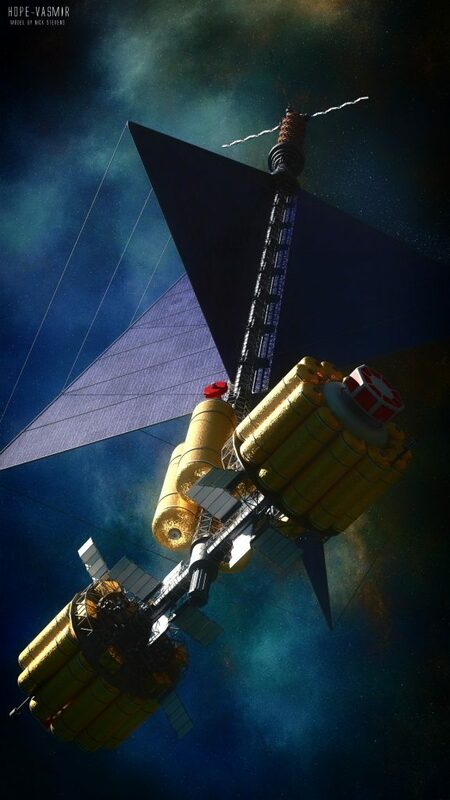 Author adminPosted on September 10, 2016 Categories Lightwave 3d, spacecraft, Spacecraft ConceptsTags atomic, callisto, jupiter, manned, nuclear, rockets, spacecraft, vasimrLeave a comment on HOPE-VASIMR Modelling done? 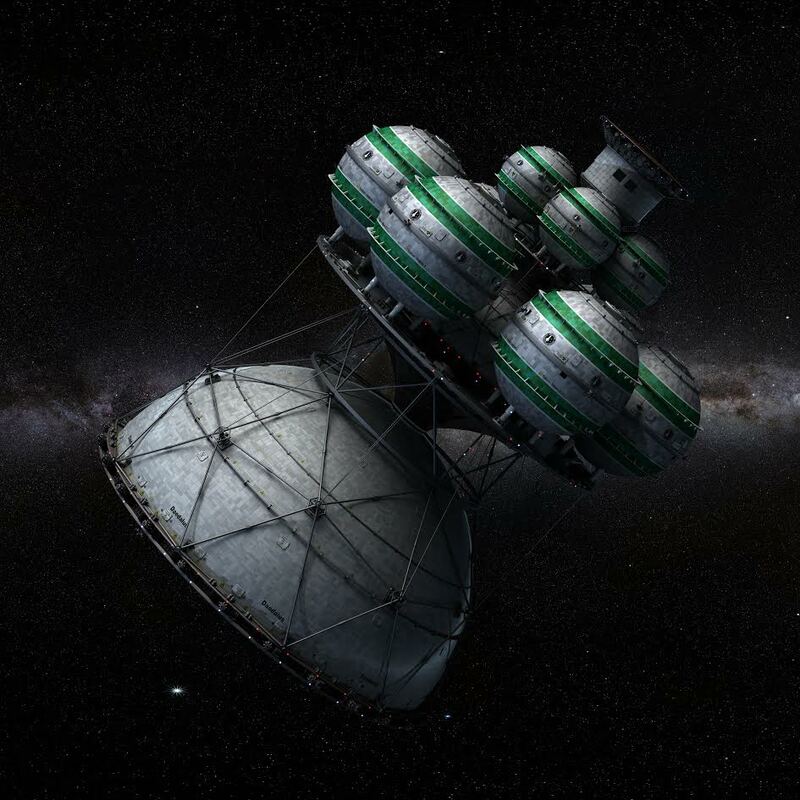 I realised I have very little that covers more recent concepts to get man into deep space. And when I started digging, I found there were not that many out there to cover! The main one is the various designs covered by HOPE. 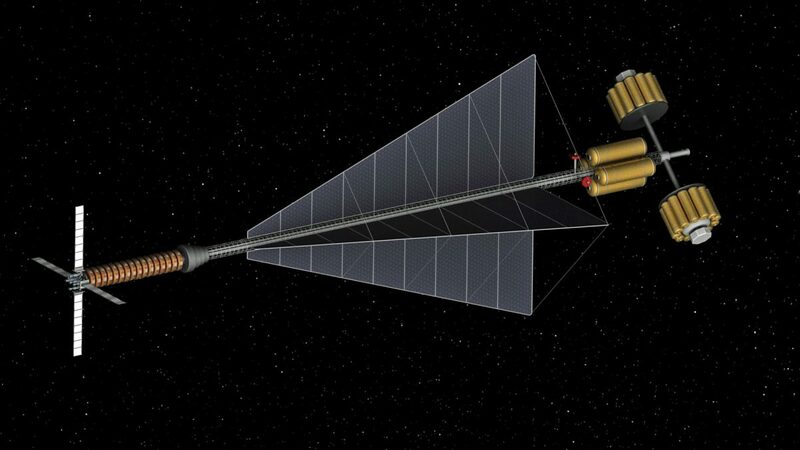 Human Outer Planet Exploration, which covers proposals for a manned mission to Callisto, the outermost major moon of Jupiter. 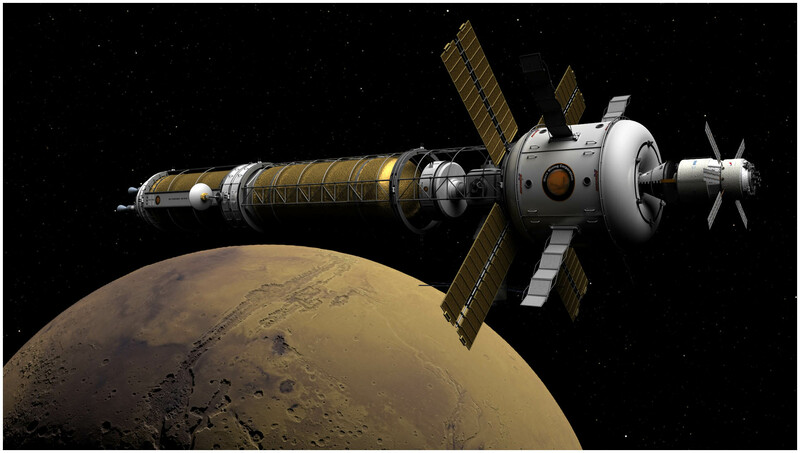 It uses VASIMR nuclear engines, which are under current development, so as far as feasibility goes, I’d say highly feasible apart from the cost aspect. and it’s a highly promising propulsion system. The huge vanes are the cooling system, very reminiscent of Ernst Stuhlingers designs of many years ago. They come to a point to stay behind the heavy radiation shields, either side of the reactors. 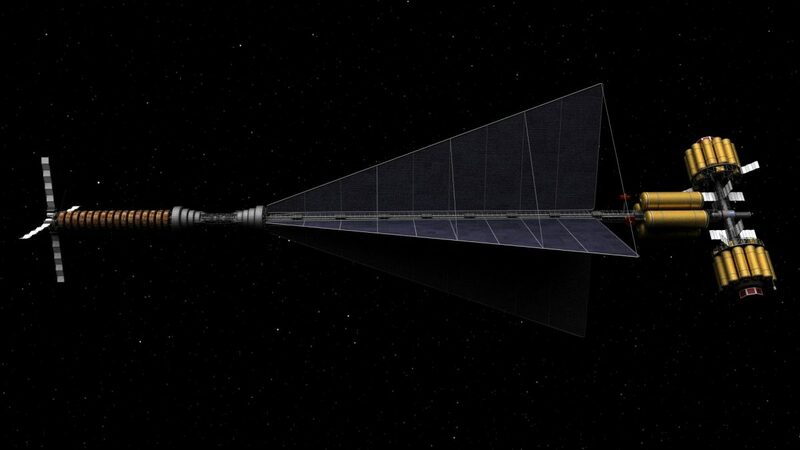 Two new images showing the BIS Daedalus interstellar design. These will be used in a book by Michael Carroll, to be published later this year. One image shows the immense size of the unmanned craft, with the two stages separated, and a Saturn V rocket beside it for comparison. This is in the header. The second shows the whole thing assembled, below, against a backdrop of stars. Click for a larger view.